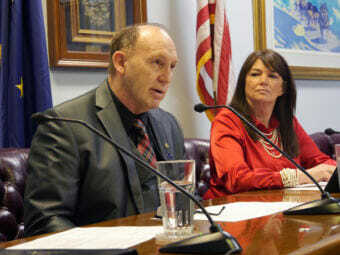 The Alaska House of Representatives failed Tuesday to break the deadlock over who will lead the chamber. Some Republicans accused Rep. Gary Knopp of going back on his word, after he voted against Rep. Dave Talerico to be speaker. Knopp said on the House floor that he committed to being the 21st vote for a Republican nominee, but he didn’t say which one. He then voted for himself to become speaker. The votes for Talerico and Knopp both tied at 20 to 20. Twenty-one votes are needed to become speaker. Knopp acknowledged his nomination was not anticipated by the 20 members in the Republican caucus. He said he was swayed to vote for himself by two things. One was the support of Kodiak Republican Rep. Louise Stutes, who said that she was interested in nominating him for speaker. The other was actions by a Republican House member in support of a group seeking to recall Knopp. While he didn’t identify the member, Wasilla Republican Rep. David Eastman has responded to social media posts by Knopp critics with information on recalls. Other Republicans expressed frustration at Knopp’s action on the House floor. Eagle River Republican Sharon Jackson was among them. “With the inconsistency of truth — let’s just say it like that — I just ask you all to vote with knowing in your heart what is best for this body and for this state of Alaska,” she said. The House hasn’t begun its official legislative work in the first 29 days of the session. House rules require that a speaker must be elected first. 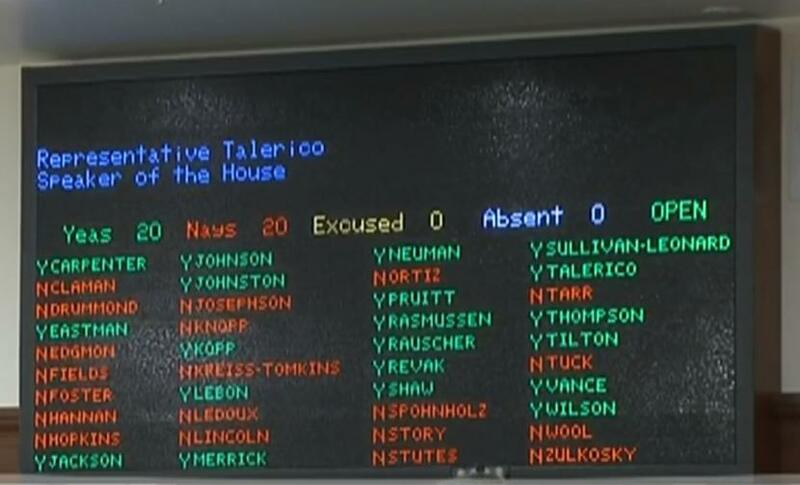 Twenty of the 23 Republicans in the chamber voted for Talerico and against Knopp. All 16 Democrats, Ketchikan independent Dan Ortiz, Anchorage Republican Gabrielle LeDoux, Stutes and Knopp voted for Knopp and against Talerico.